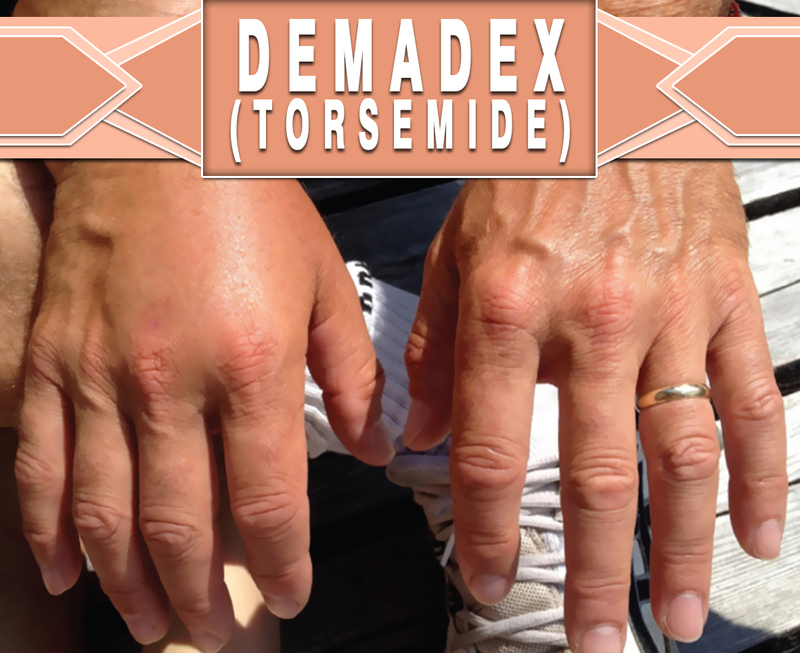 Demadex (Torsemide) is used to reduce extra fluid in the body or called edema. In which it is caused by conditions such as heart failure, kidney disease, or liver disease. This can lessen symptoms like shortness of breath and swelling in your legs, arms, and abdomen. This medication may also use to treat high blood pressure. Lowering high blood pressure helps prevent heart attacks, strokes, and kidney disease. How does Demadex (Torsemide) work? Demadex (Torsemide) causes a profound increase in urine output (diuresis) by preventing the kidney from retaining water. Specifically, it blocks the reabsorption back into the blood of sodium and water that has been filtered out of the blood in the kidneys. The potent diuretic effect of this medication can cause the loss of large amounts of body water leading to dehydration. And also the losses of electrolytes like magnesium, potassium, sodium, and calcium. Demadex (Torsemide) is in a class of drugs known as ‘loop diuretics. This is potent or known as ‘water pill’. It is a white to off-white crystalline powder. Each tablet has the strength of 5mg, 10mg, 20mg, or 100mg of Torsemide. This drug is available for oral administration. In the year 1993, the Food and Drug Administration (FDA) has approved this medication. How to use Demadex (Torsemide)? You may take it with or without food. This medication is usually taken once a day. Take it at the same time each day and use it regularly. Do not stop taking these tablets without consulting your doctor. Follow your doctor’s prescription carefully. What are the side-effects of Demadex (Torsemide)? Before taking this drug, talk with your doctor first the risks and benefits of this medication. Avoid driving or do anything that needs your alertness. This medication may make you feel dizzy or drowsy. This should be used only when clearly needed during pregnancy. If you are breastfeeding, consult your doctor first. Inform your doctor if you have any medical history or current medications like vitamins or herbal supplements.